Apple has released an update to Java aimed at addressing the recently discovered security issue that could impact some Mac users. 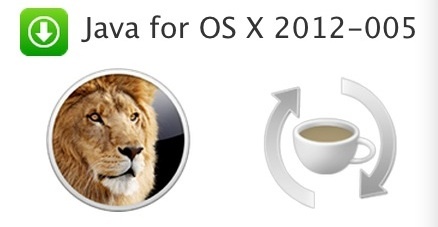 The update, dubbed “Java for OS X 2012-005”, is available for users of Mac OS X 10.6, 10.7, and 10.8. All Mac users eligible for the update are recommended to install it. You can download the Java update through Software Update, the Mac App Store, or directly from Apple. OS X Lion and Mountain Lion onward do not automatically bundle Java, meaning if you don’t see a Java update available you don’t have it installed on your Mac. If you did manually install Java yourself, you will see the update available though. Last week, Oracle released a Java 7u7 update to patch the problem for SE 7 as well. The updates from Apple address security issues for both Java 6 and Java 7. Heads up to MacRumors for noticing this first. Excuse me? How can an update to Java 6 fix the problem recently discovered in Java 7? You even point out that users of Java 6 were “safe” in your own linked article. This certainly fixes a lot of other problems, and it deactivates Java applets for people to protect them from future flaws, but it has nothing to do with that specific danger. There was another Java issue discovered that effected SE 6, separate from the one effecting Java 7. If you have the update available from Apple, install it to resolve either that is applicable. Honestly, I’m fed up with the Java security issues. It’s the only problem ever to hit a Mac now that Flash is a goner, and it’s just not worth the hassle. You should write a post on how to disable Java everywhere, and if you don’t have Java installed, don’t bother with it. Most of us just don’t need it.